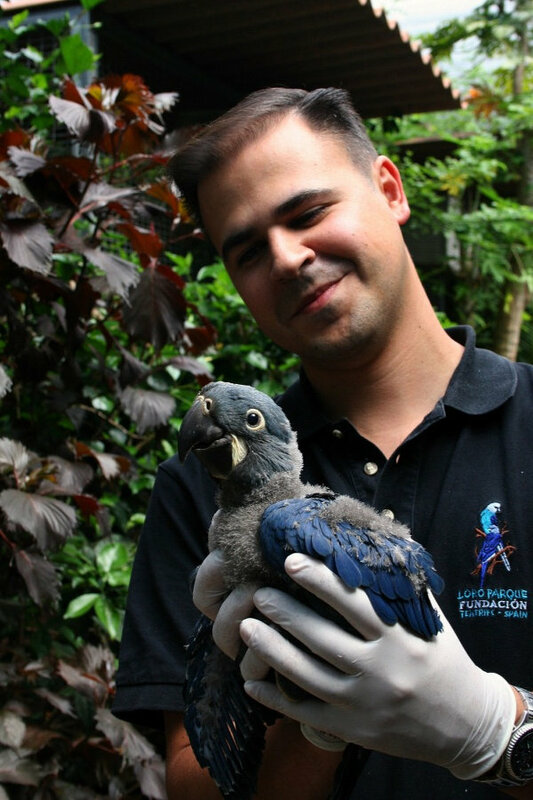 Loro Parque Fundación has recently achieved a new international success in its conservation and protection labour in nature. This week nine specimens of Lear’s macaw, born and raised in Tenerife, were shipped to its native Brazil to reunite with their companions. It is the most significant repatriation ever made to Brazil of these critically endangered macaws thanks to Loro Parque Fundación’s breeding centre after ten years participating in an international programme for their preservation. On February 24th, specimens will be welcomed by “Foz de Iguaçu” birds’ park’s technical manager, Dr. Yara Barros, accompanied by Juan Villalba-Macías, coordinator of Bioparque M’Boricúa and also a member of Loro Parque Fundación. This initiative started in 2006 due to a request from the Government of Brazil to Loro Parque to bring its expertise in breeding and conservation of this species. Loro Parque Fundación was chosen for this mission due to its other notable successes in other rearing projects, in particular, with Spix’ macaws. In 2001, this species became extinct in nature and it survives in captivity thanks to the conservation programme initiated in 1990, in which Loro Parque Fundación had a key role, successfully breeding this species and contributing with USD 726.000 to the programme in Brazil. 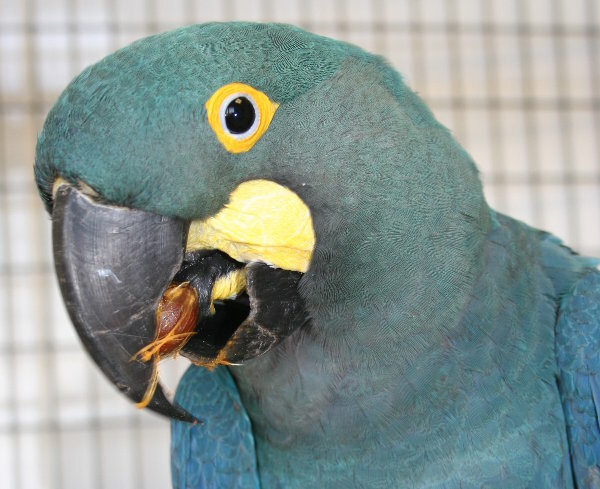 Responding to the request, Loro Parque Fundación received four Lear’s macaw specimens from the Brazilian Government in 2006 and, during the next decade, the foundation was able to breed 36 hatchlings. This marks the highest breeding rate for this species worldwide. Furthermore, Loro Parque Fundación supports local awareness-raising actions among communities of this bird’s natural habitat, having invested in this conservation project USD 387.000. Loro Parque Fundación’s significant participation in this international project has allowed for this species’ population growth in nature, counting 1.200 Lear’s macaws compared to 242 specimens registered in 2001. This success has been acknowledged by International Union for Conservation of Nature who saw it fit to make a decision to lower this species’ threat level from critically endangered to endangered. Regarding Spix’ macaws, Loro Parque Fundación first returned, in 1997, all specimens’ ownership in its facilities to the Brazilian Government. Finally, in 2002, the foundation shipped all specimens at its disposal to Brazil, thus allowing the organisations like Brazilian Institute of Environment and Renewable Natural Resources or Chico Mendes Institute for Conservation of Biodiversity to take advantage of Loro Parque’s expertise in “blue macaws” breeding to reintroduce this species in its natural environment. Since 1994, this foundation has centred its work in protecting the environment through international projects. Only in South America, Loro Parque Fundación participates in 58 projects, having invested up till now USD 6.409.005. Pillars of its activity are based on rescue, conservation and investigation, as well as carrying out education campaigns to raise awareness about menaces that threaten biodiversity.